There’s a local taco joint here in Charleston called Taco Boy, and they make THE BEST Mexican Street Corn I’ve ever had. Eventually, I had to try to make it at home, because I can’t go to Taco Boy without getting Mexican Street Corn. And a Frozen Screwdriver. And a Skinny Pineapple Vanilla Margarita. And a Kimchi Taco. And let’s be honest … another Frozen Screwdriver. 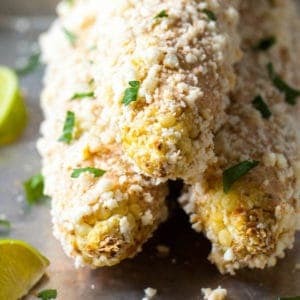 Not wanting to spend the entirety of the summer Frozen Screwdriver drunk ( and Frozen Screwdriver Fat ), I realized I could avoid the absolute calorie slaughter of the extra add-ons if I learned how to make that delicious Mexican Street Corn at home that constantly drew me into the restaurant. There’s just one problem — I’m pretty sure the corn at Taco Boy is fried. Deep fried. Not only am I not in a hurry to crank up the deep fryer when it’s 100 degrees outside, I also don’t REALLY want all those added calories and fat. But then I realized two things: I’d had deep fried corn before ( not covered in mayo and cheese ) and I’d also baked corn in the oven way too long one night while sipping some boxed pinot grigio on the porch, and decided to eat it anyways. The two tasted almost exactly the same. So maybe I’m onto something here. Why yes, I think I definitely am. 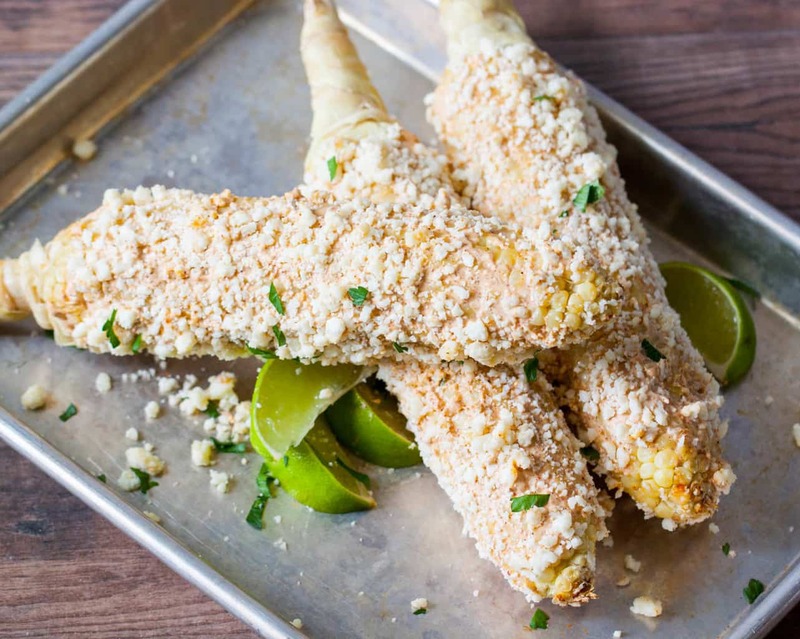 I can BAKE the corn instead of deep frying it, and get those magnificent kernels just a little separated from each other, to allow the flavored mayo and cheese seep its way into the corn just like they do at Taco Boy. Except now it’s healthy, right? Healthy or not, it’s delicious, and I hope you love it as much as I do! 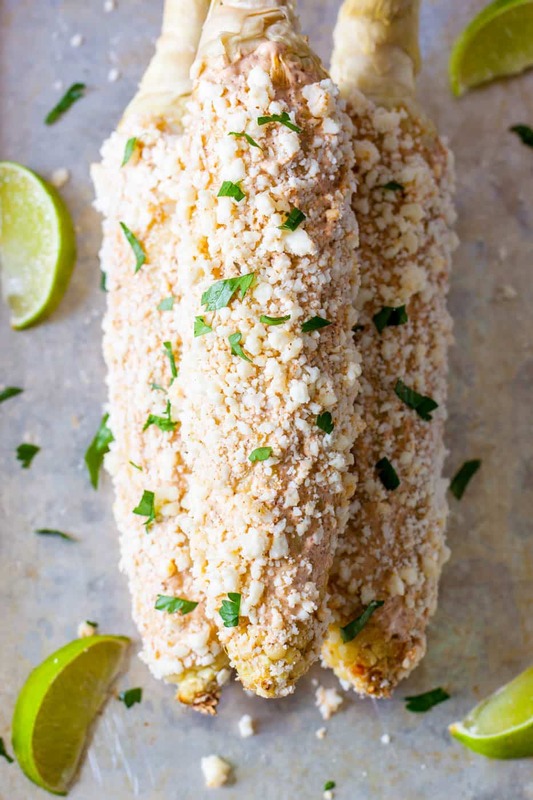 Make this corn to go with some crock pot carnitas and a few homemade tortillas, and dinner for a crowd is DONE! 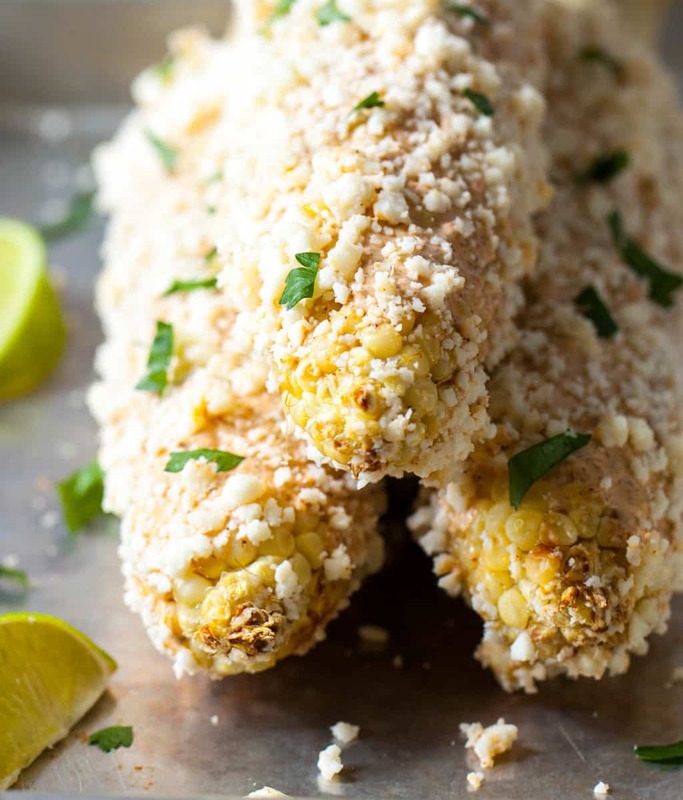 An Easy Mexican Street Corn recipe made right in the oven. Tastes just like my favorite local taco joint's! In a small bowl, mix the sour cream, mayonnaise, garlic powder, and chili powder. Cover and refrigerate until the corn is ready. Shuck the corn and remove all corn silk. Cover each ear of corn individually in foil, and wrap tightly. 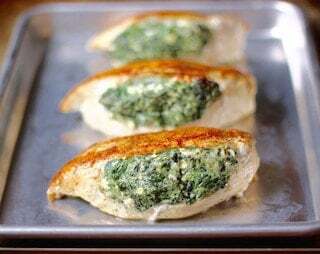 Place directly on the preheated oven rack and bake for 45 minutes. Once the corn is mostly cooled, slather each ear in the sour cream / mayonnaise / spice mixture. Press the crumbled cheese into the corn on all sides. If you can't find Cotija cheese, you CAN substitute feta buuuuuuuut it's really not going to be as good. Make the effort to find the Cotija ( usually can be found at Whole Foods or Walmart ). I love Mexican street corn! I made the salad version of this a few weeks ago, but it wasn’t quite as great as I remembered bc I couldn’t get the corn as crispy as I wanted (damn new stove). Will definitely need to experiment with this version! 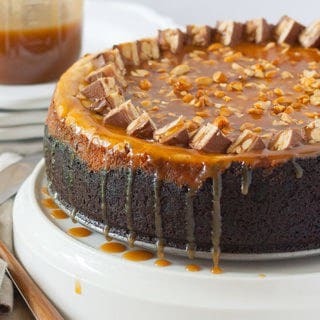 I tried this recipe and it’s great!